Following a solid start from 2nd place and within .2 of leader Kyle Kirkwood, Kaylen was hit broadside by the driver behind in Turn 4 leaving him immobile on the curbing. Picking up the chase after the field swept by and left him a lap down, Kaylen was caught up in another incident in front of him in Lap 5, stopping an advance to the front with a retirement. Rounding Turn 1 from pole, Kaylen had made an excellent start gapping 3 car lengths to the chasing Kyle Kirkwood. 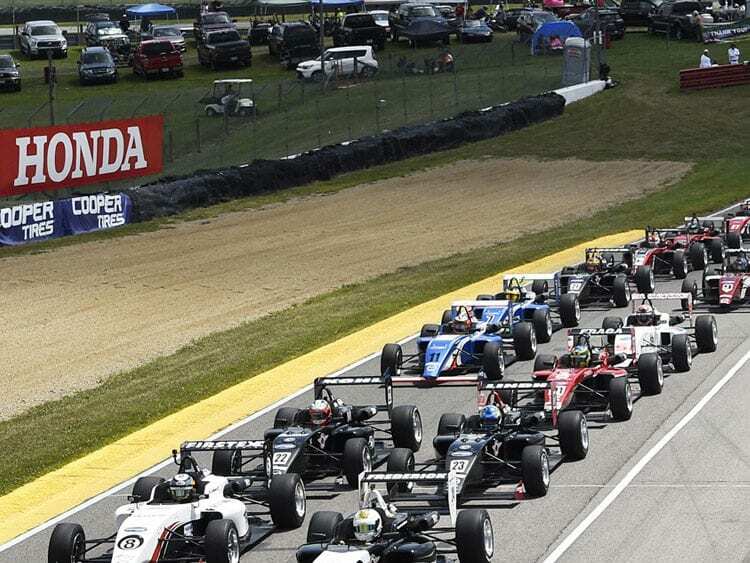 Locking the brakes on cold tires led to an early trip into the gravel trap in Turn 2. Returning to the track in P24, Kaylen was giving chase again when another driver turned into Kaylen on the back straightaway. Kaylen ended his race in the wall with a race retirement. 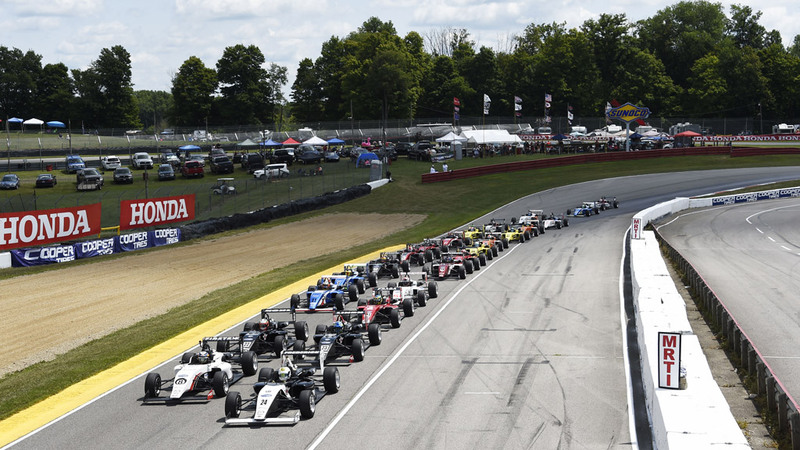 Grid assignments for race start were based upon fastest laps in race 2. As Kaylen spent his few laps in Race 2 passing the field, lap times were not efficient in Race 2. Giving chase at race start from 22nd position, Kaylen had advanced to P5 by lap 5. Race control assigned a Stop & Go penalty for an aggressive pass on the driver Kaylen had passed for 5th. Kaylen served his penalty and returned to the race, finishing in the back of the field. Qualifying was executed to the script. Waiting on the grid until 10 minutes had passed in the 20-minute sessions, Kaylen used his 3 laps available to warm tires and make the final lap count. 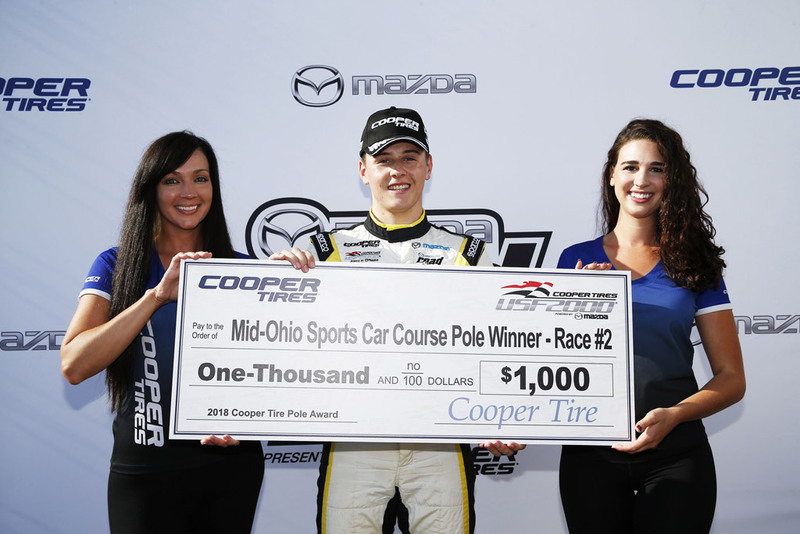 Kaylen placed Car 24 up front in P2 and Pole position for the first two races. While qualifying was well-executed, this was a weekend of 3 races and 3 setbacks, and a fall from 2nd in the championship to 6th. Punted off the track in Race 1/Lap 1, Kaylen ran fast all weekend even though the races played out poorly. 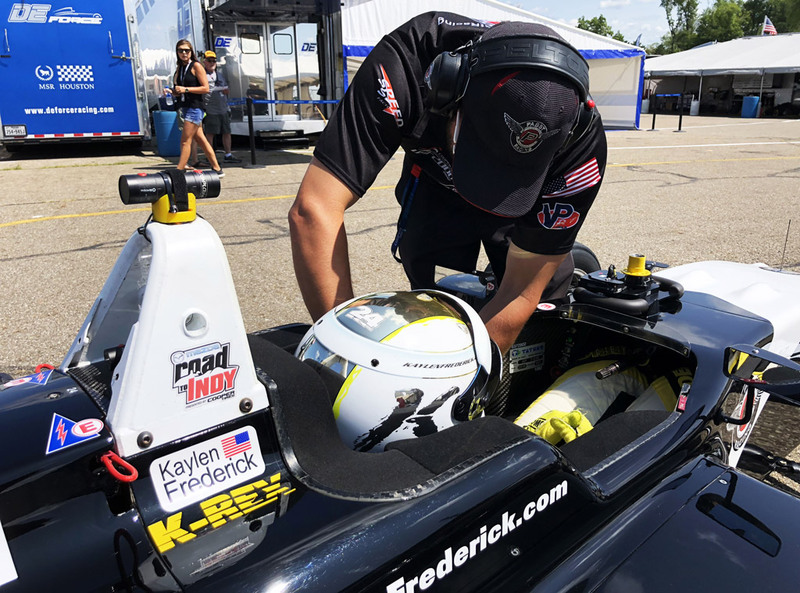 Through it all Kaylen Frederick was the driver that refused to accept defeat. 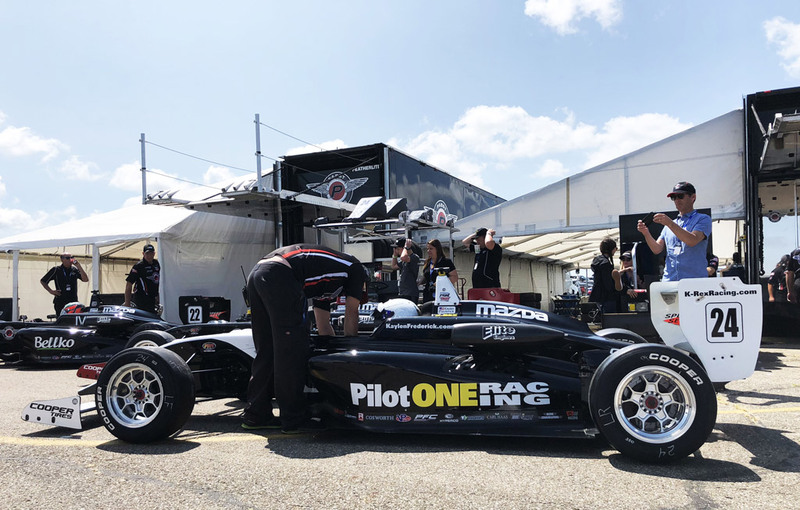 Up next, Kaylen and Pabst Racing’s USF2000 Series team will compete at the downtown Streets of Toronto circuit, July 13th – 15th. Follow Kaylen Frederick and Pilot ONE Racing on Instagram, Twitter and Facebook to stay up-to date on the latest news and developments.